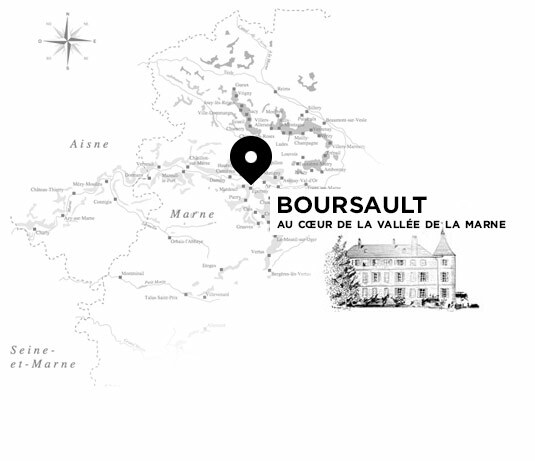 In 1927, Hachod Fringhian, Charlotte Morgain Le Gallais’ predecessor, bought the Domain of Boursault, formerly owned by Madame Veuve Clicquot. She built the Boursault Castle in 1843 and her great-grand-daughter, Uzès Duchess, sold the domain in 1913. After 5 generations, Charlotte still runs a part of the domain: 7 plots with their own particularities, in the familial clos, overlooking the Marne Valley. Press, cellars and winery are located in the clos too, only few hundred meters away. It guarantees a great fruit freshness when it comes to be pressed and transformed. 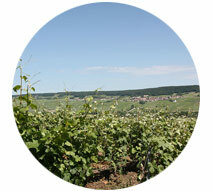 Le Gallais domain is located in the Boursault village, few kilometers from Epernay, in the heart of the Marne valley. Domain’s wealth resides as much in its buildings as in its soil: limestone filtering properties mixed with the freshness of the clay, participate in the terroir balance, and are an essential element in our quest of fineness and elegancy for our Champagnes.